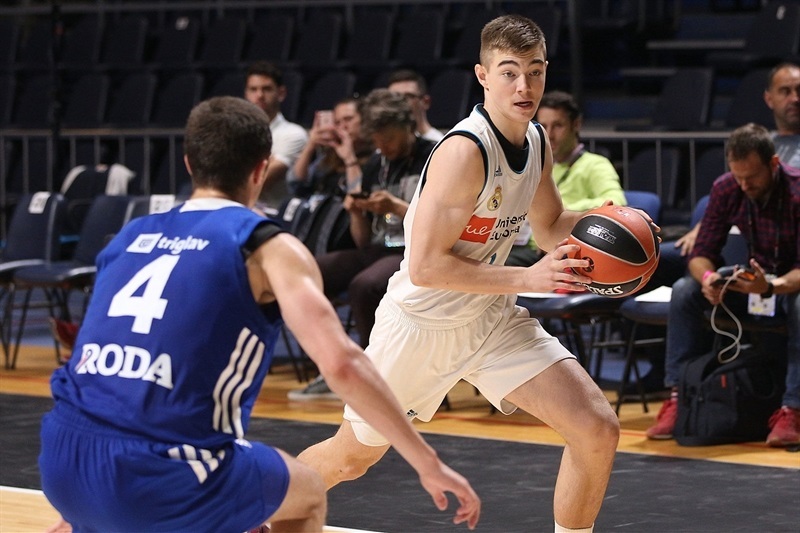 U18 Real Madrid picked up a second victory in Group A of the Euroleague Basketball Adidas Next Generation Tournament Finals with a 78-72 win over U18 Mega Bemax Belgrade to finish second in the group with a 2-1 record. Mario Nakic paced the winners with 16 points while Diego De Blas had 13 points and 7 rebounds and Heritier Ngalamulume chipped in 11 points and 9 rebounds and Amar Sylla had 8 points, 12 rebounds and 3 assists. 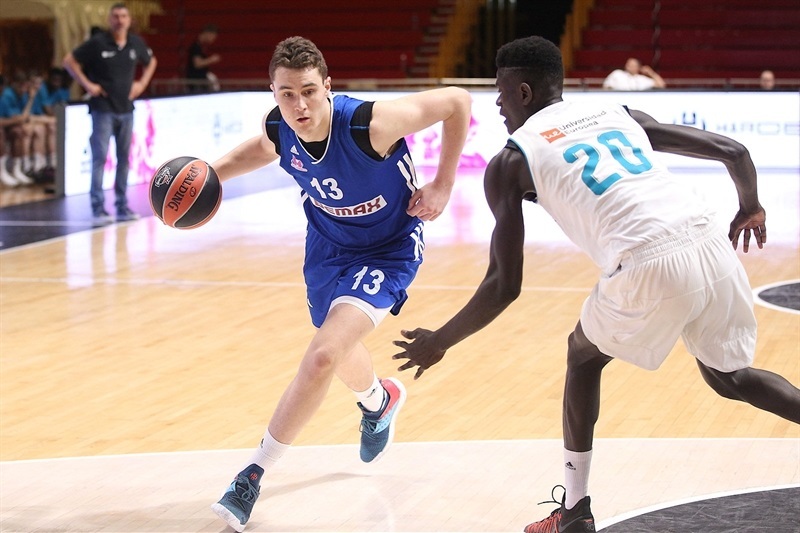 Madrid knew it had no chance of reaching the ANGT Championship Game as U18 Lietuvos Rytas had already locked up the top spot in the group. 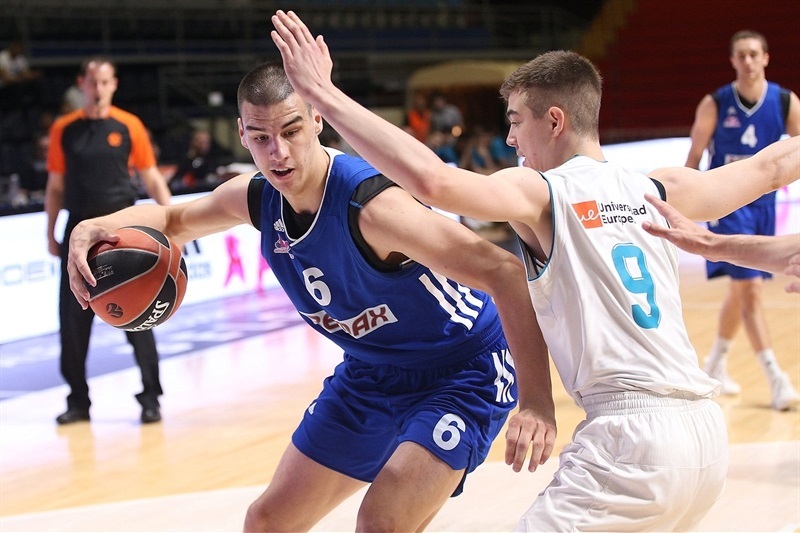 Luka Cerovina tallied 17 points, 8 rebounds and 8 assists and Mateja Jovanovic had 15 points for Mega, which ended the tournament with a 1-2 record. 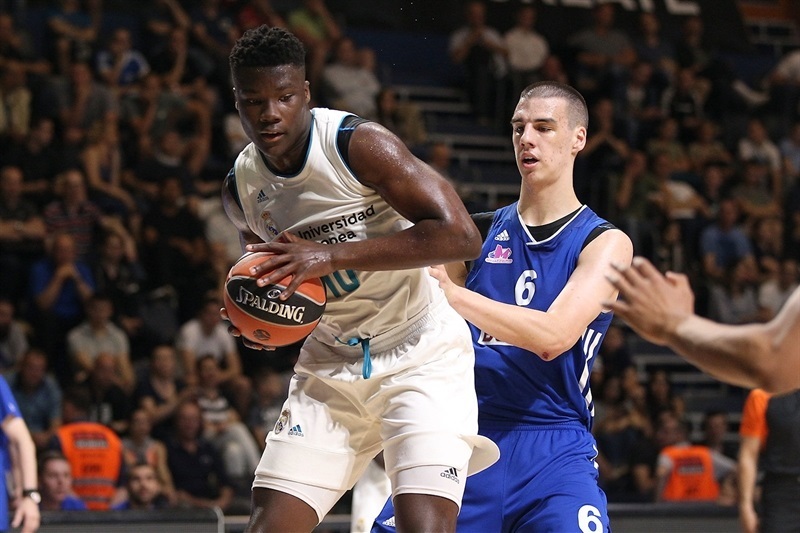 Nakic and Sylla both hit three-pointers as Madrid went ahead 9-6 early. Jovanovic responded with four points and Mega pulled ahead 13-15 before five points from De Blas had the Spanish power up 18-15 after 10 minutes. Ngalamulume completed a three-point play as Madrid led 27-23 and a De Blas triple made it 34-27. 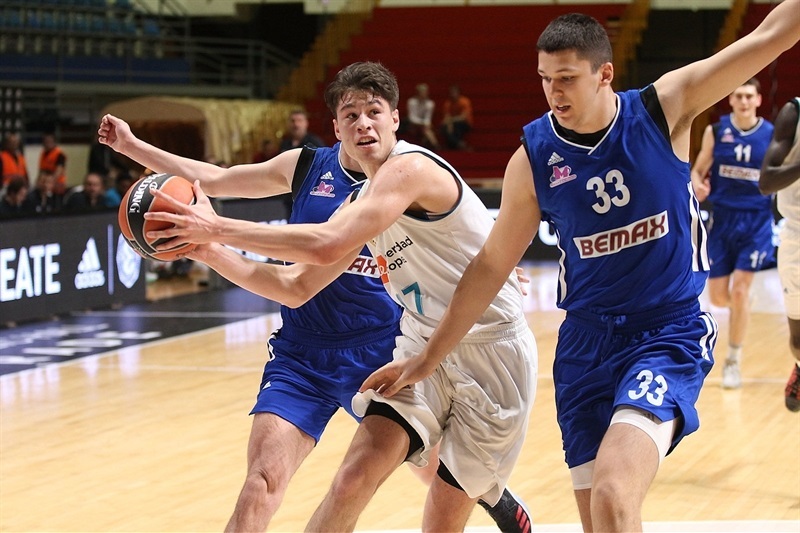 Jovanovic countered with a three-point play and Igor Drobnjak hit a three-pointer but Madrid went into the locker room with a 39-33 advantage. Carlos Unanue knocked down a three-pointer and added another basket in helping Madrid open the lead to 46-33. But Cerovina and Altin Islamovic both hit long balls of their own in an 0-10 Mega spurt to trim the gap to 46-43. Nakic answered with 11 points in the final five minutes of the third quarter and Madrid was leading 61-56 after three quarters. Five quick points from Cerovina knotted the game at 61-61 and then Pavle Kuzmanovic converted a three-point play and Cerovina hit from long range for a 66-67 Mega lead. 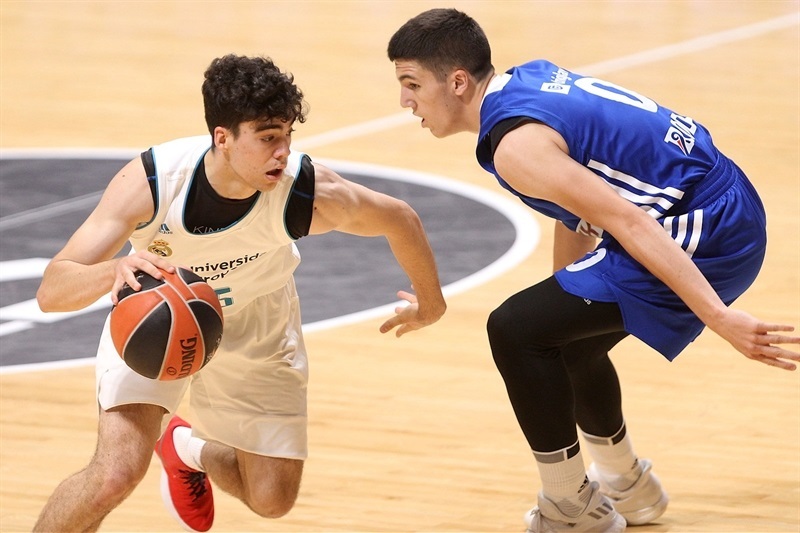 Madrid responded with big scores down the stretch with De Blas hitting a three-pointer and Kareem Queeley converted two three-point plays and then knocking down a triple with 17 seconds left for a 78-72 lead.